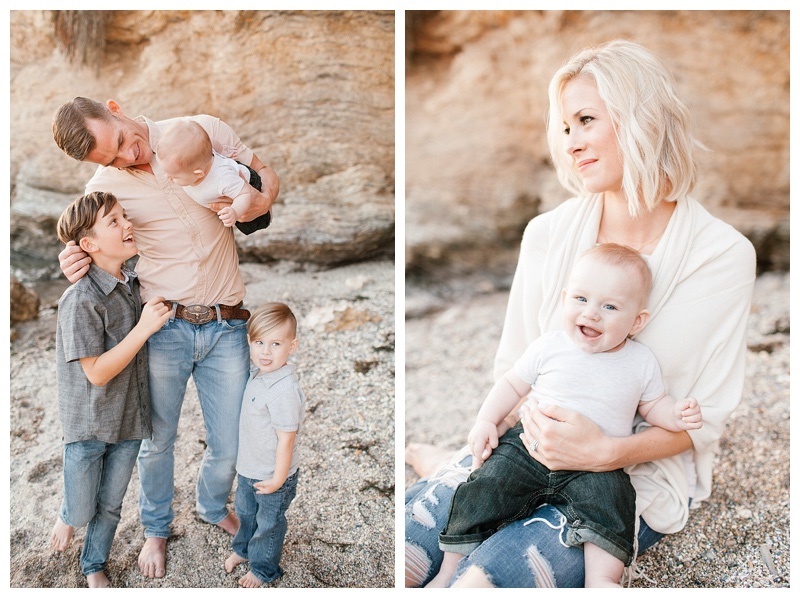 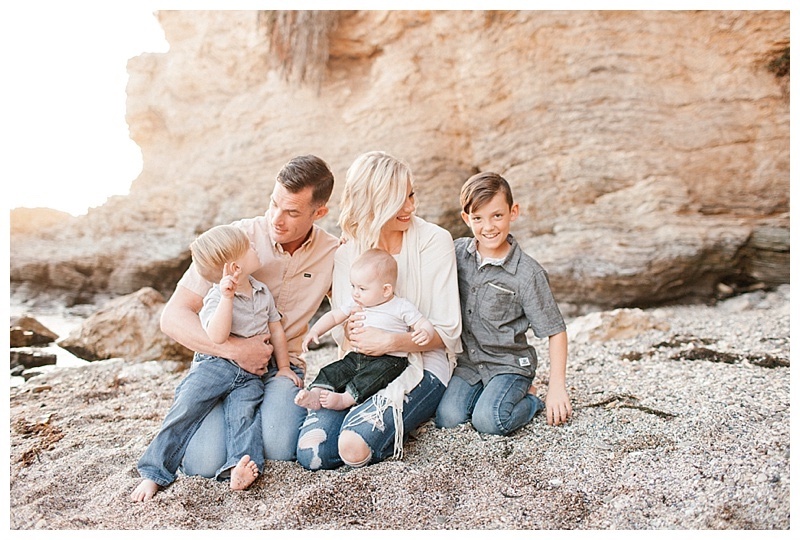 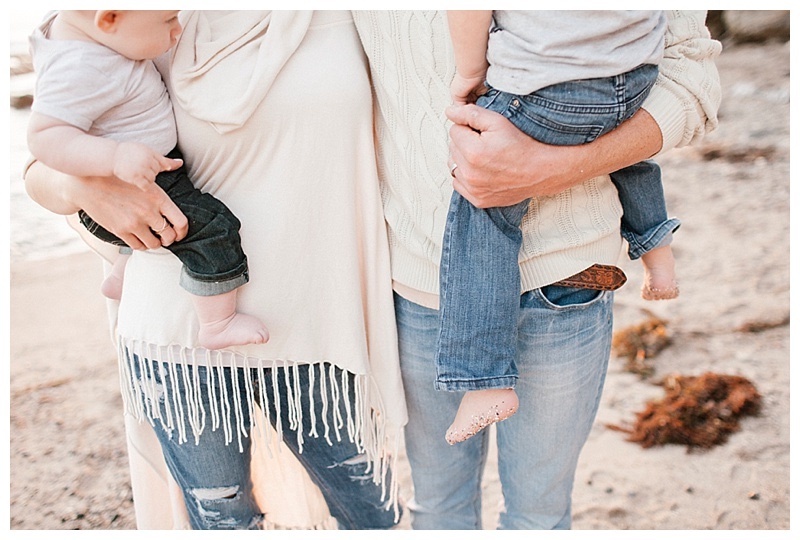 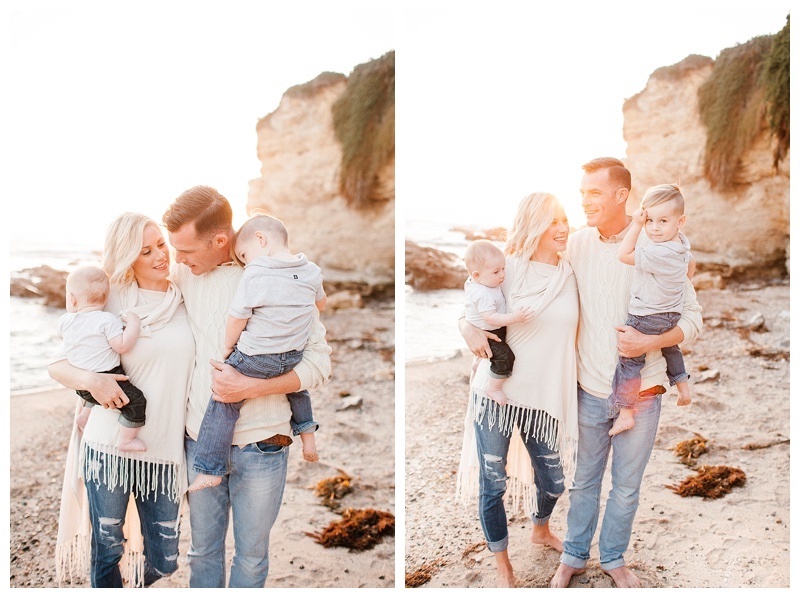 I spent an evening with this beautiul family in Laguna Beach taking their family portraits with their newest addition to the family- a sweet baby boy! 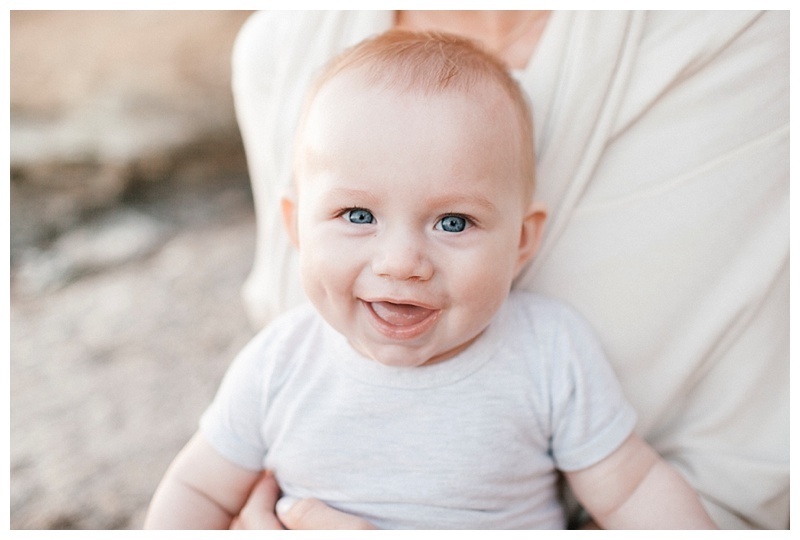 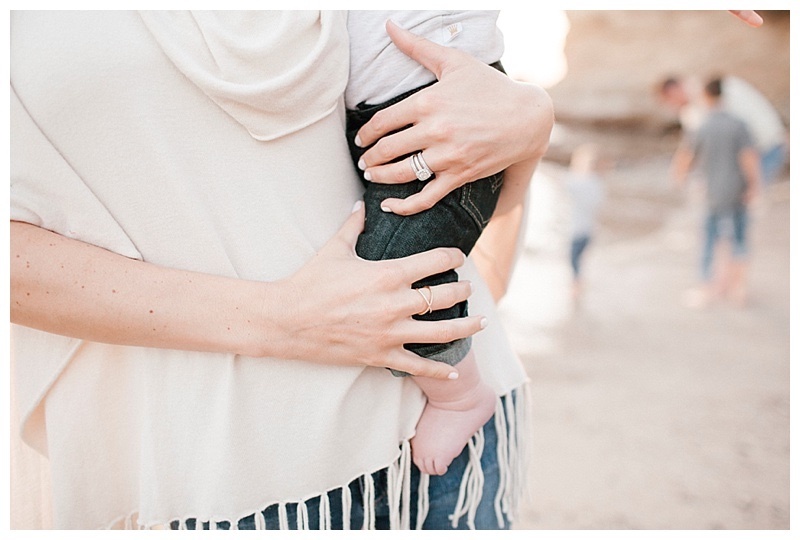 We originally had planned the shoot for a few months earlier for the around this cute little babies 3 month milestone- but one thing led to the next and we ended up rescheduling giving a few months to allow the weather to warm up, making it the perfect day for a beach photoshoot. 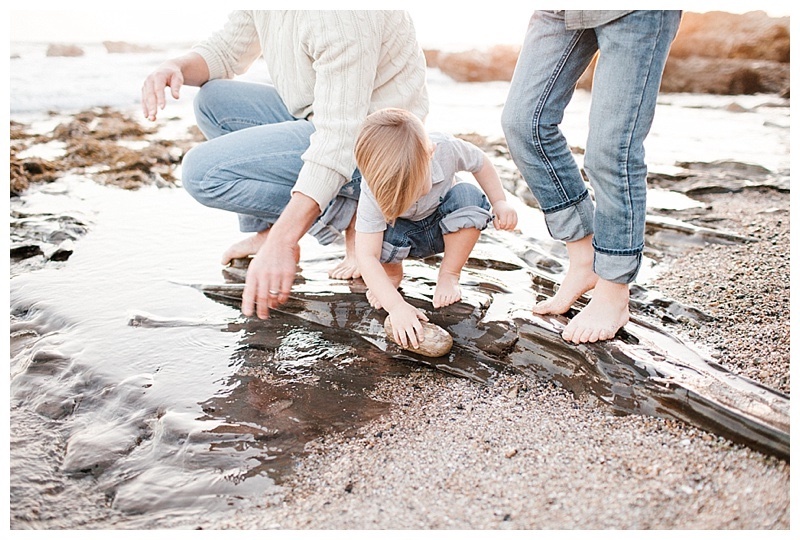 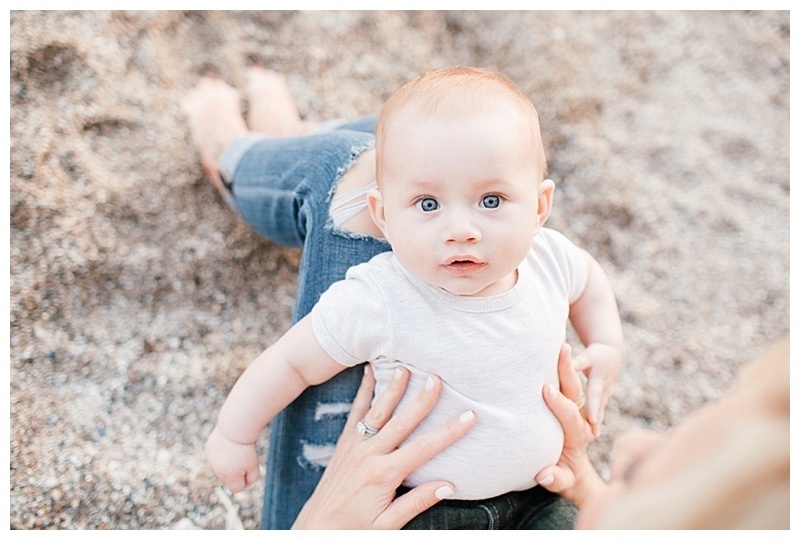 It seems this year I have been in the studio majority of the time with lots of newborns, so it was nice to get out of the studio and dig my feet in the sand in Laguna. 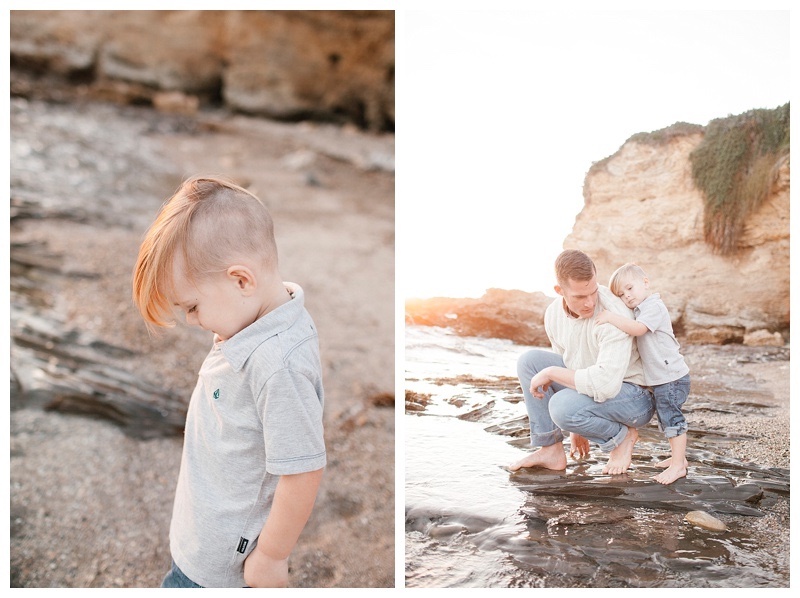 Out of all the beach locations I do pictures at within Los Angeles and Orange County, Laguna Beach is by far my favorite. 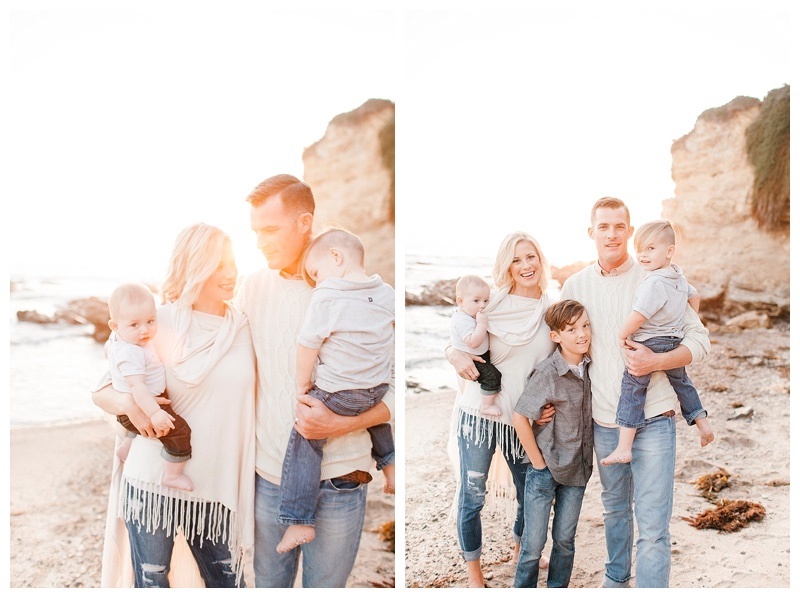 The perfect location to hide from the sun a bit while its still bright, the warmest sunsets, and of course the perfect color pallette for those natural and modern lifestyle family photoshoots! 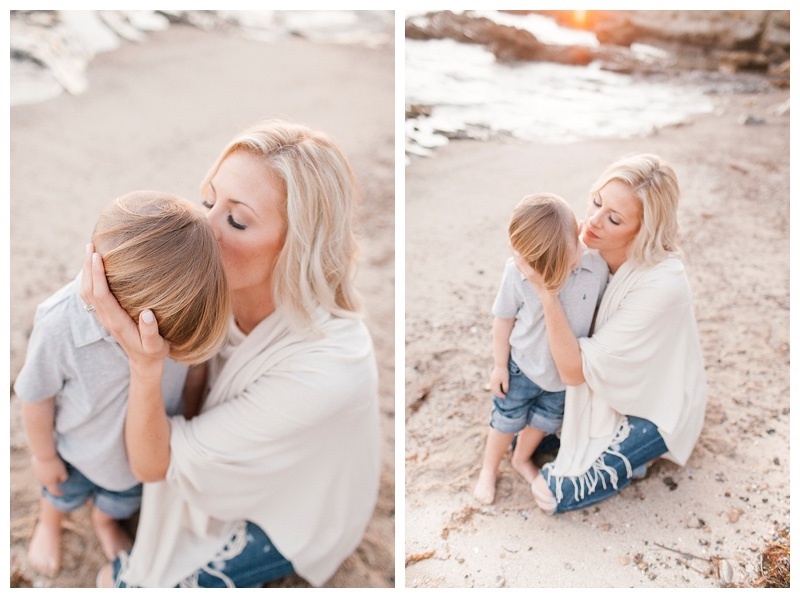 Here are just a handful of the many pictures we took- enjoy!